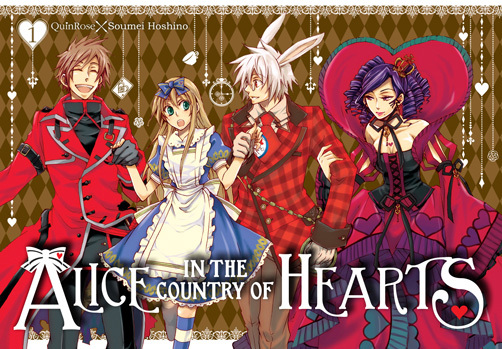 Home › Manga › Alice in the Country of Hearts Review: So It’s Like a Whimsical Ghetto? Alice in the Country of Hearts Review: So It’s Like a Whimsical Ghetto? Alice’s Adventures In Wonderland have had a hand in captivating people for a long time, as well as inspiring a great deal of work based or influenced by the two books. And Japan is no slouch on borrowing themes or ideas. Among the many things spawned between Japanese media and Alice is a series of video games that inspired a manga series, said manga has crossed the Atlantic with the name Alice in the Country of Hearts, which I am reviewing today. 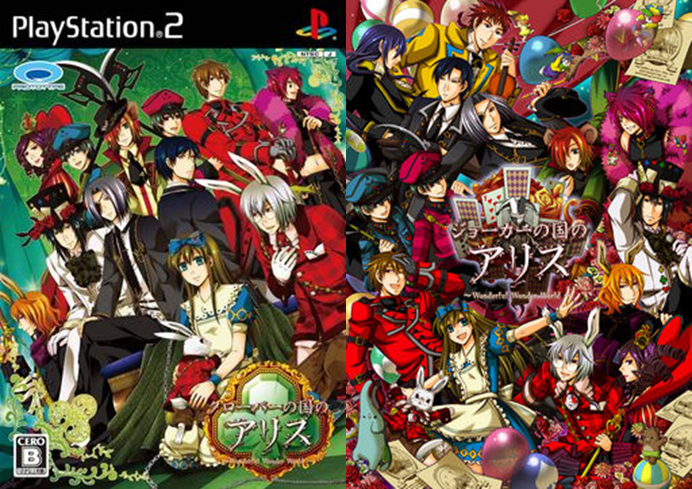 2007’s Alice in the Country of Hearts originates from a series of Otome (Maiden) games, a genre where female protagonists are aimed at an exclusively female audience. Being part of the already obscure subset known as visual novels, Otome games are so rarely put out in the western markets that we are aware of only two to three of them, namely Hakuoki and Jo Jin Bo. The point of such a game is for Alice to build up relationships with many male characters standing in for characters in the original (with the exception of the queen of hearts for which I feel somehow forced to expel a sigh of relief) ultimately Alice will be able to go back home once she has interacted with the full cast. Alice in the Country of Hearts was developed by Quinrose who was in charge of the storyline of the manga, so I can only guess it was at least a faithful adaptation. 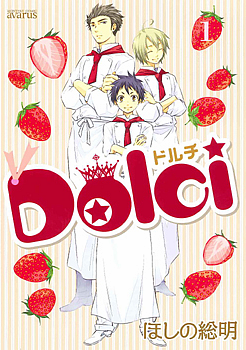 The artist is Soumei Hoshino who has other manga like Dolci. I don’t know much about her, but from what I have seen of the original game‘s hideous character designs; her art does us all a big favor. Alice Liddell was having a nap with her older sister when Alice is kidnapped by Peter White (as you might have guessed is based on the White Rabbit) and taken down the rabbit hole. Once the two fall down they land in a clock tower, Peter proceeds to give Alice a medicine through a forced kiss for no discernible reason. Of course, said medicine forces Alice to stay in Wonderland, this will also thereafter mark Peter White as the creepy stalker ever so common in recent manga. This Wonderland is divided in four warring sections: The hatter manor, led by The Mad Hatter; Heart Castle, governed by the Queen of Hearts; the Amusement Park District, owned by the marquis Mary Gowland (who may or may not be related to the duchess in the original story). Finally, there is the Clock Tower, though technically a neutral zone. It turns out the clock tower belongs to Julius Monrey (apparently an original character, though he may embody the “time” the Mad Hatter was fighting), who has “Undertaker duties”, There is also Boris the Cheshire cat, who is the only one to understand Alice’s morals from her world. Then there is the mad hatter Blood Dupre, the typical jerk who also happens to look like Alice’s ex-boyfriend. And finally there is Vivaldi, the queen of hearts as bloodthirsty as the original, but more dishonest about her feelings thus using a rude or abrasive persona in order to conceal herself. To be honest, I was not too fond of Alice in the beginning. She had backbone and quite the snarky side, which are usually great things to have, except it made her stick out as the straight laced party pooper when everyone else is more or less entertaining. It wasn’t until an incident (quite the amusing incident in my own opinion) during volume one, involving the March Hare that Alice finally shows a side of herself that is not so above it all and was every bit the match for any previous comedy. That moment changed my opinion of Alice and made me want to root for her. My only problem with this series is that the character development is very unbalanced, while some characters take very noticeable steps towards change, some don’t do much more than say “I like you Alice!”. Alice herself seems to be somewhere in between, not really changing much, but not quite the same boring girl. Pros: An amusing boy crazed series where the protagonist ever so often actually joins in on the antics of the rest of the cast for hilarious, if only occasional, golden jokes. Great for anyone who likes nonsense with pretty boys. Cons: As with most things inspired by Lewis Carroll’s writings, do not expect it to always make complete sense; it is not as bad as other things I have seen or read, but those looking for perfectly coherent narrative should look elsewhere. Character development is in great need of balancing. 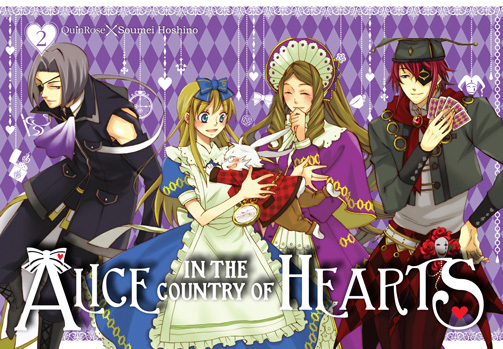 Alice in the Country of Hearts was picked up by Yen press for its English release. Alice in the Country of Hearts is an entertaining, romantic, yet sometimes unhinged manga that nonetheless got my attention for the entire ride. The characters will entertain, whether they are being funny, love-struck or acting like psychopaths. Obviously this manga aimed towards a female audience, but it isn’t all that unapproachable to guys. ‹ The Mask Review: Comic Fandom! Why Have You Kept This From Me?